The mullahs’ misogynist regime has uprooted a tree which stood for the courage and determination of the PMOI/MEK women in their struggle to free Iran by toppling the regime. Thirty years ago, Tahereh Tolou, a PMOI freedom-fighter who had devoted her life to Iran’s freedom, a.k.a. as Commander Sara, was viciously killed by the mullahs’ revolutionary guards in a face-to-face confrontation. The IRGC guards who deeply resented her for her bravery, stabbed her in the heart and hanged her blood-drenched and lifeless body from a tree on the top of a cliff overlooking Islamabad-Kermanshah Road in a bid to teach a lesson to Iran’s women and youth and warn them against rising up against the mullahs’ Caliphate. 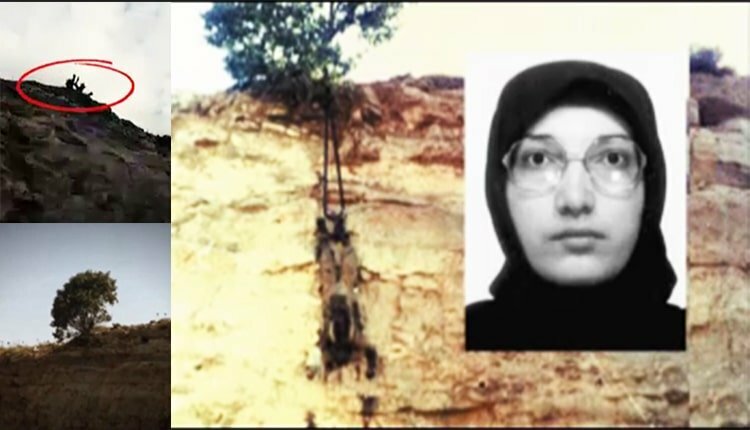 The photo of Commander Sara’s body hanging from the tree was later taken by a passing by conscript soldier and sent to the Iranian Resistance. Over the past three decades and against the regime’s desire, the tree had turned into a national monument attesting to the determination of the People’s Mojahedin of Iran (PMOI/MEK) and particularly its pioneering women in their struggle to topple the mullahs’ religious tyranny and bring freedom to the country. Every year, on the anniversary of Commander Sara’s battle and martyrdom, supporters of the PMOI/MEK went to the site and paid tribute to Tahereh Tolou (Commander Sara) and all freedom-fighters who have given their lives to free Iran. This latest action by the mullahs’ misogynist regime in cutting the symbolic tree indicates their fear of the rising tide of uprisings and popular protests and the resistance units made up women and youths who are the driving force spearheading the protests. With great audacity and courage, they cry out the same demand in the streets of Iran “targeting the ruling regime in its entirety.